Get ready for some serious Amish Friendship Bread buttery bun goodness. I keep a running list of savory and traditional sourdough recipes to test and adapt. This one–the classic buttery bun that has the same warm flakiness as any recipe out there–has been on my list for a while. Actually, quite a few have been on my list for a while, but this one got off the page and into the oven. It’s fall-apart brilliant, soft on the inside with just enough gentle crunch on the outside. These got consumed very quickly in my house. There’s something therapeutic about bread making. I love the smells of my kitchen whenever I’m making bread from scratch. I prefer to work my dough by hand but you can your stand mixer or a bread machine set on the dough cycle. 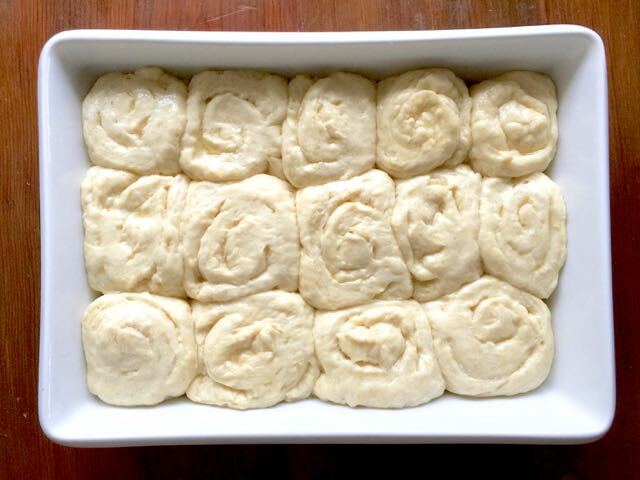 Combine the dough ingredients and mix the bread to make a soft, smooth dough. Place in a lightly greased bowl and cover. 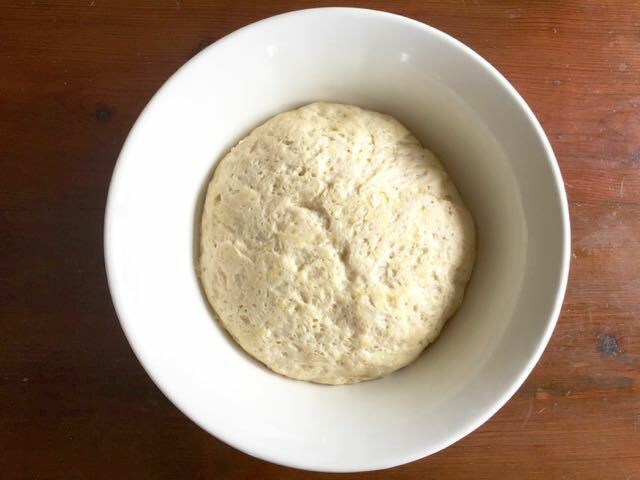 One tip I’ve heard of but have yet to try is to let your dough rise inside an 8-cup measuring cup so you can see exactly how much your dough has risen. You want it to double in bulk, which takes about 1½ to 2 hours. Once your dough has doubled, gently punch down it down once and turn onto a greased surface. 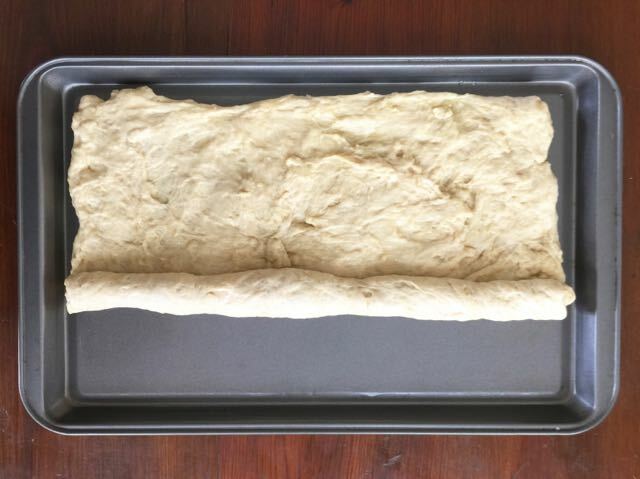 Roll and work the dough into a rough rectangle of about 12″ x 16″. When I say “rough,” just look at mine and you’ll see what I’m talking about! It doesn’t have to be pretty. Brush with some melted butter. 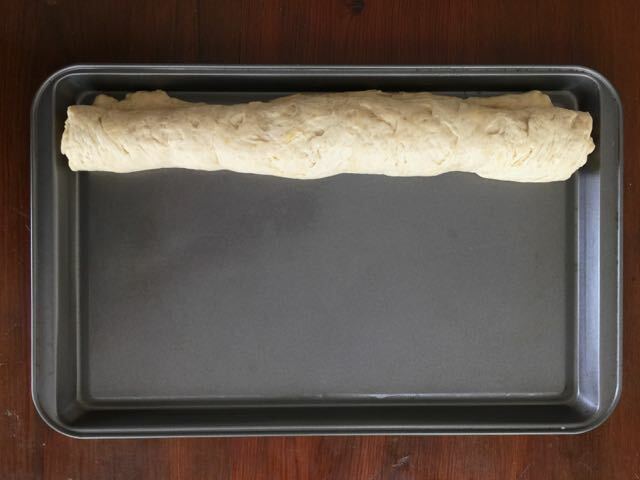 From the long side, roll the dough into a log. Slice into 1″ slices. The recipe yields 16 buns, 8 per 8″ cake round, but unfortunately my cake rounds were occupied with some Red Velvet Amish Friendship Bread batter. I ended up using a casserole dish which worked great. Once you have the buns in your pan, you’ll cover and let them rise for no more than 60 minutes. This last part is important, as I let mine rise an extra 10 minutes and they got really puffy. You want them to conserve enough rising power so they can expand in the oven. Since I used the casserole dish, I added an additional five minutes when it was time to slide them into the oven. My kitchen smelled amazing while these were baking. Mix and knead until a soft, smooth dough is formed using your hands, a stand mixer or a bread machine set on the dough cycle. 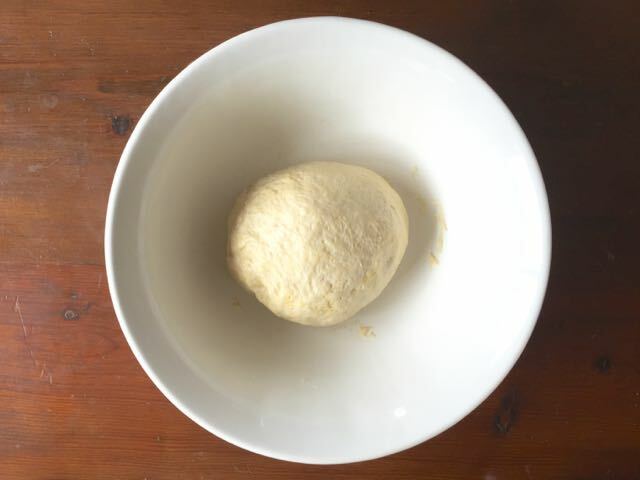 Place the dough in a lightly greased bowl and allow the rough to rise for 1½ to 2 hours, until doubled in bulk. 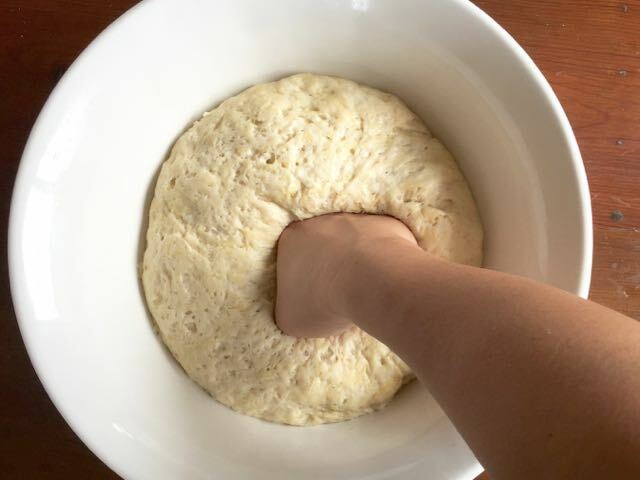 Gently punch down the dough and transfer to a lightly greased work surface. Roll and shape the dough into a 12" x 16" rectangle. 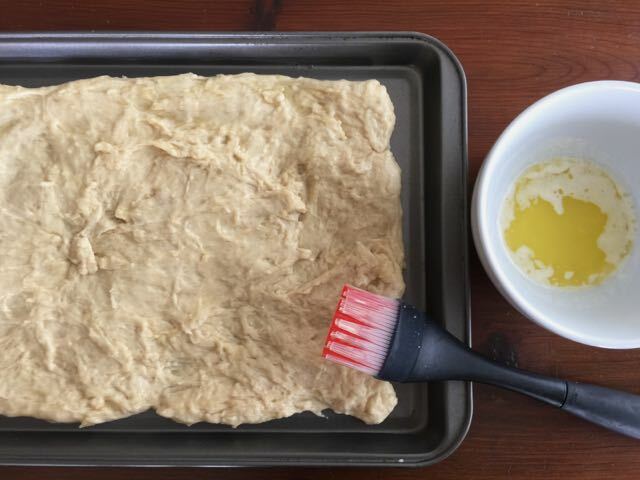 Brush 2 tablespoons butter onto the dough's surface. Starting with the long side, carefully roll the dough into a log. Cut the log in 1" slices using a sharp knife. Lightly grease two round cake pans. Arrange 8 buns in each pan. Cover and let the buns rise for 60 minutes. At 45 minutes, preheat the oven to 350° F (177° C). Uncover the pans and brush each bun with butter. Remove from oven and turn onto a cooling rack. Brush with any remaining butter. Serve hot or warm. If you have an 8-cup measuring cup, grease the insides and let the dough rise in there. You'll be able to see how much to rises. These buns are absolutely delicious. 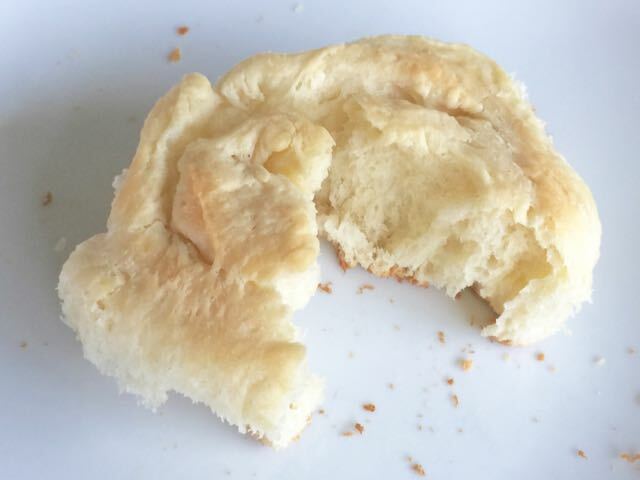 The flavor is amazing….buttery, yeasty (in a good way), slightly sourdoughy….not your bland white bread at all! Lovely texture, also. I tried out my new dough hook for my stand mixer ❤️ on this one which worked nicely, although I did have to add extra flour to pull the dough together. Otherwise followed your directions to great results. This will be my go-to roll recipe. Thanks for pulling it out of your idea box and putting it in your oven! You’re welcome, Bessy! Thanks so much for giving it a try! These buttery rolls are the best I’ve ever had! We all love them and making them is pretty easy, just time consuming for the dough risings but so well worth it! Highly recommend you try this recipe, you will love them! I agree, Christine! So glad you enjoyed it and gave the recipe a go! working on getting a starter going, and will give this a try. Can you shape the buns into the normal bun shape or do they have to be in rolls like cinnamon bun style? Oops!! I brushed the melted butter before I let them rise the 2nd time. Will they still rise? Yes they did!! Next question can these be frozen? Either in roll dough form or after they are baked. Hi Melody! I haven’t tried to freeze the dough so I can’t say, but you can freeze the baked ones. They don’t taste as good (in my opinion) but I feel that way about most frozen breads so it could be a personal preference. 🙂 Let me know if you do it and if it works out for you. I have frozen multiple dough recipes between first and second rise multiple times and always had the end product turn out great! Just pull out of the freezer and let the dough come to room temp and then allow it to rise the second time. This usually takes 2-3 hours in my house. I don’t see why this recipe wouldn’t work just the same! Good luck! I made these beauties yesterday for my family and they were amazing, I also took one to the friend that I got the starter from so she could try something other than the sweet traditional recipe. I also plan on trying this recipe again for my aunt but adding some shredded sharp cheddar as “filling” to make a cheesy buttery bun variation. These sound delicious! 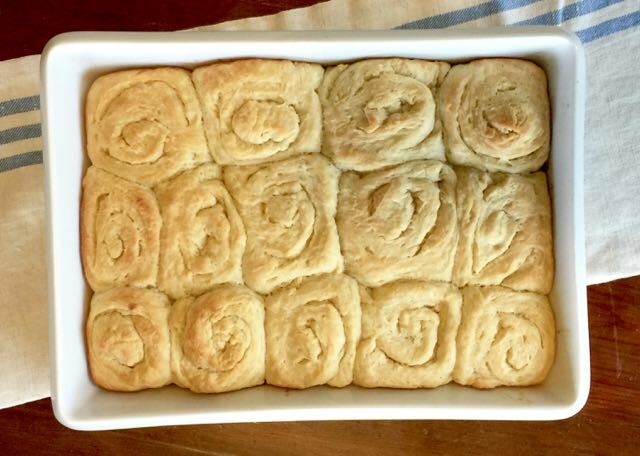 I have my starter all ready and was looking for a non-sweet recipe for rolls. Can’t wait to try these! Thanks Debra! Let us know if you decide to try this recipe. They are awesome! Snap a picture if you do. Here’s the link to submit your photo:https://www.friendshipbreadkitchen.com/recipe-box/submit-photo/ Happy baking! Awesome dough recipe! I used it to make runza (bierocks… German rolls stuffed with beef, onion, and cabbage) and it was perfect! Amy, the runza sounds amazing! Any chance you have any left and can share a picture? I’d love to see it! I uploaded a photo of it! Got it — thank you, Amy! I’m going to share it on our Facebook page and add it to the gallery! If I need to use only starter and not store-bought yeast can I? And if so how much to sub for it? 1 cup starter total and no added yeast? Could you make these into crescent rolls? Wondering about making some like that for Easter dinner? Oh, these look wonderful. I would turn them into garlic rolls. When they come out of the oven brush the top with melted butter mixed with granulated garlic powder and Italian herbs. Serve with a small flat bowl of olive drizzled with balsamic vinegar for dipping. And of course, your favorite lasagna, spaghetti and meatballs. Hi Susan! That sounds amazing. 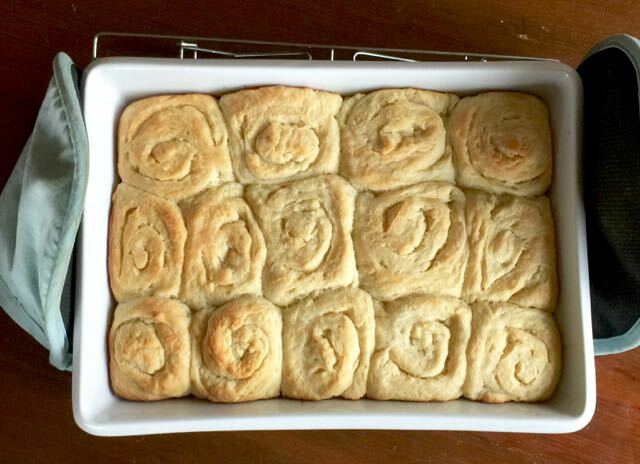 If you make a batch of these, we’d love to see photos of your Amish Friendship Bread creations. You can submit your photos here. I am hooked with the starter! It’s been 4 months now that I have kept my starter going and I just feed it whenever I’m running low. 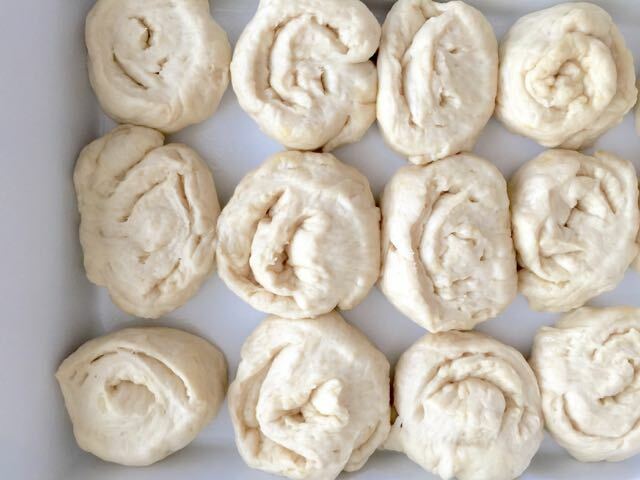 Buttery buns never miss a rotation at my home. My boyfriend loves them! Hi Lea! That’s awesome! 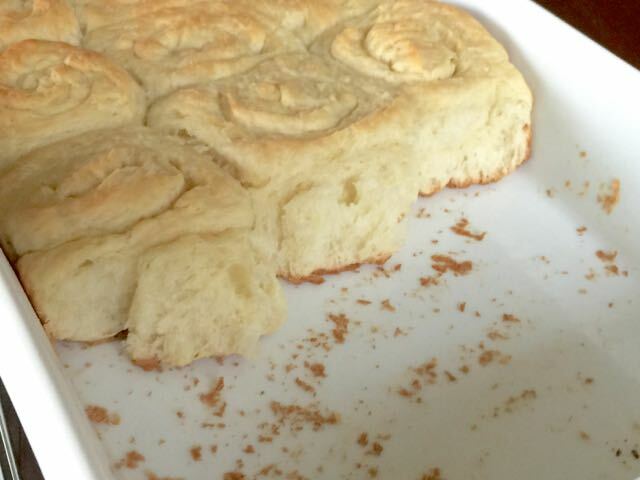 So excited that you are enjoying the recipes, and yes, the Buttery Buns are addicting. If you ever make a batch of these, we’d love to see pictures of your Amish Friendship Bread creations. You can submit you photos here. Happy baking! Used this recipe to make the best cinnamon rolls that I have ever made! Certainly is good for keeping your starter manageable using for dinner rolls and cinnamon rolls!